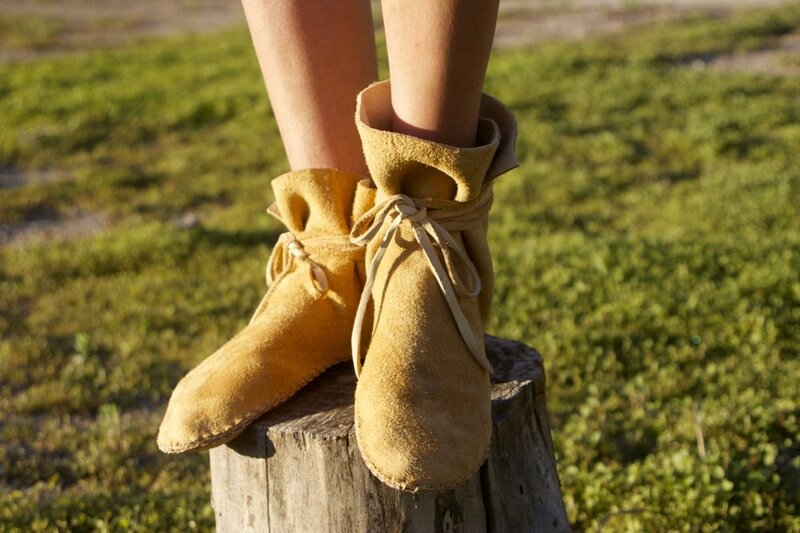 "Every shoe, boot and creation is born of my love for the earth, for indigenous cultures, and for the old ways. The shoes are built to bring you into relationship with the earth beneath you, and into relationship to your own earth, your body, which you’ll feel in entirely new ways in these soft soled shoes. 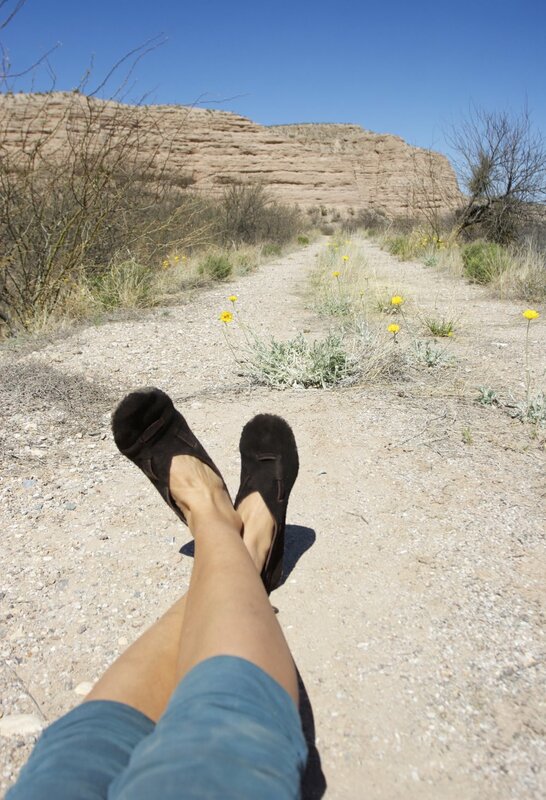 Notice your body aches and pains melt away, literally, once you get your feet on the ground. It's the relationship between the earth and your nervous system that restores health in all body systems. You'll find ease were there was once dis-ease. And, feel good that you're supporting makers who literally use their own hands to build your shoes. We make our shoes to order, at home, with local materials, and with the interest of 7 generations at heart. Which means: less carbon footprint, less waste, less factory pollution. & More connection to all the things that truly sustain our lives." I am at a junction now, with the demand of the market for these shoes exceeding my ability to produce them, and the challenge of training people to help me. There are few people who like to work this hard, and who have both the steadiness of hand, and the practice of self-care, to keep themselves well within the rigor of what is asked in making these shoes. I am blessed with the support of a shoemaker in Nicaragua, who is helping in the production of these sandals. They are wonderfully sturdy and made in both a soft leather sole, and rubber for those of you who choose. Please take a look! !